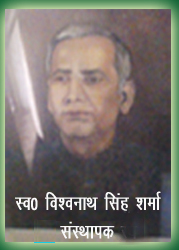 SBSS College Begusarai, a constituent unit of Lalit Narayan Mithila University, Darbhanga, was established in the name of a great visionary of our District known as Malviya of Begusarai , Swargiya Bishwanath Singh Sharma , to provide quality education to our youth irrespective of caste, creed or gender. This college has grown into a premier institution of higher education in teaching in Begusarai District. SBSS College Begusarai has sought to keep up with the changing times and provides meritorious students opportunities to interact at national and international platforms. This college various courses, including vocational and self-financing courses. Although this institution enables its students to sit for the university examinations, it offers each student every opportunity to take up the challenges of life with courage and integrity. In this respect, regular class attendance and completion of class assignments /project work are mandatory. Along with this, the college offers different extracurricular activities like sports, cultural events, NCC & NSS and councelling of students . Our faculty members also act as students’ mentors to guide and counsel them as and when required. Students are expected to be creative and innovative. Any young person taking admission in this premier institution must not only have the required marks, but must aim at excellence in whatever he or she attempts, all the time keeping in mind and in practice, a disciplined and a diligent attitude. I welcome the prospective students of SBSS College Begusarai to its campus, to benefit from its rich academic tradition so that they may step out into the world as worthy citizens of our country.